Asthma is a common respiratory disorder that is characterized by inflammation and episodic constrictions of the bronchial tubes. This disorder can be chronic or acute and both adults and children can have this disease. Asthma attacks often occur when there is a congestion in the air flow in the lungs. Common causes are allergies, cold air, humidity, air pollution, respiratory infections, stress, strong emotions, physical activity, certain medications, and preservatives and sulfites in food. The exact reason for this disorder is still not known, but some factors increase the chance of developing asthma, including genetics, obesity, excessive smoking, and an existing allergic condition. Common symptoms of asthma are wheezing (especially on expiration), shortness of breath, coughing, difficulty breathing, and tightness in the chest. The severity of these symptoms varies from minor to serious (even life threatening). You may control these symptoms with dietary changes, lifestyle changes, medicines, and herbs. In fact, many natural herbs may help to treat and prevent asthma. In this article, VKool.com will show to you top 10 natural herbs for asthma treatment without any side effect. This article listed the best herbs that are used to treat asthma effectively at home from reliable sources. However, it is not intended to give medical advice and it is solely for the informational purpose. Keep reading this article to learn these natural herbs for asthma treatment. Ginkgo biloba has anti-inflammatory and antihistamine properties that help to treat asthma effectively. According to a study in 2019, extracts of this herb helps to reduce the infiltration of inflamed cells in your asthmatic airway and relieves the airway inflammation. In addition, it is available in supplement form in the market. Note: Ginkgo biloba can interact with some certain medications, so you should consult a doctor before taking its supplement form. Oregano is one of the most powerful herbs for asthma treatment. In addition to anti-inflammatory properties, it also contains carvacrol, terpenes, and flavonoids that work as elements cleansing your lung. This herb may reduce inflammation of your bronchial tubes and respiratory tract, thus giving relief from asthma symptoms quickly. Drink two to three cups of oregano tea per day when having asthma attacks. To make this tea, steep three teaspoons of oregano in one cup of boiling water for five to ten minutes. Then, strain it and add honey to it. Finally, stir them well and drink this tea. Another option, extract the juice from fresh oregano leaves and then take one tablespoon of this juice for a few times per day to reduce asthma symptoms as well as chronic coughs. According to traditional medicine in China, garlic is a common medicinal herb used to cure asthma attacks. Its anti-inflammatory properties aid in clearing congestion in your lungs. Moreover, its antiviral and antibiotic properties help to boost up your immune system and fight infections that may trigger asthma. Firstly, add two to three garlic cloves to ¼ cup of milk. Next, bring this to a boil and then allow it to cool down to room temperature. Finally, drink it once per day. Another option, eat two garlic cloves with one teaspoon each of honey and raw apple cider vinegar in the morning before your breakfast. Alternatively, crush 1 to 2 raw garlic cloves and then eat them daily to boost up your immune system and prevent asthma attacks. Or, you may also consult your doctor to take garlic supplements. Another natural herb in the list of top 10 herbs for asthma treatment is ginger. It contains anti-inflammatory properties that aid in reducing airway inflammation as well as inhibit airway contraction. Moreover, several compounds in ginger can help to relax smooth muscle tissues in the airways, which are constricted during asthma attacks. Drink two to three cups of ginger tea per day. To make this tea, add small ginger pieces to boiling water. Then, simmer them for 10 minutes. After that, strain it and allow it to cool down. Finally, drink this tea. Another option, mix equal amounts of pomegranate juice, honey, and ginger juice. Then, consume 1 tbsp. of this mixture for 2 or 3 times per day. You may also consult your doctor to take ginger supplements. This is one of other natural herbs asthma treatment that you should know. Licorice contains a systemic anti-inflammatory property, which helps to reduce inflammation of your bronchial tubes, restore normal breathing, and calm the airways. In addition, it also contains immune-stimulant properties. Add licorice root powder (2 teaspoons) to 1 cup of boiling water. Then, cover and steep it for 10 minutes. Now, strain it and add honey to it. Finally, stir them well and drink this tea. You should have it for once per day when having asthma. Or, you may also take licorice in supplement form. Note: This herb is not suitable for those who have high blood pressure, diabetes, adrenal disease or reduced liver or kidney functioning. This is another herb in the list of top 10 natural herbs for asthma that you should not pass. It contains anti-inflammatory properties that aid in thinning the mucus clogging the airways. It also gives relief from coughing & tightening of your chest. Apart from asthma, it may help to treat bronchitis, coughs, and sore throats. Add the inner bark of this herb (2 teaspoons) to 2 cups of hot water. Then, cover it and simmer it for 5 minutes. After that, strain it and add honey to it. Finally, stir them well and drink this tea. You should have it for twice per day when having asthma. Or, you may also enjoy slippery elm lozenges available in the market in order to reduce inflammation of your bronchial tubes. Note: People who are pregnant or breastfeeding should not take this herb. Lemongrass is extensively used in traditional medicines to treat asthma, coughs, and some other respiratory disorders. It contains anti-inflammatory, antifungal, and antibacterial properties that aid in reducing inflammation and fighting infections. Furthermore, it is rich in vitamin C that boosts up your immune system well. Firstly, add dried lemongrass (2 teaspoons), grated ginger (1/2 teaspoon), and a small cinnamon piece to 2 cups of water. Next, bring this to a boil and simmer it for 5 to 8 minutes. Now, strain it and add a little honey and lemon juice to it. Finally, stir them well and drink this tea. You should have it for once per day when having asthma. Being a powerful herb, turmeric helps to prevent asthma attacks as well as other allergies. It has an active ingredient – curcumin, a strong anti-inflammatory and antioxidant compound that helps to fight asthma symptoms. Firstly, mix turmeric powder (1 teaspoon) in 1 cup of milk. Then, you boil it and let it cool down. Finally, drink it for twice daily. You may also consult a doctor to take curcumin supplements. Also called ajwain or carom seeds, bishop’s weed is also one of the useful herbs for asthma treatment. It exerts an antispasmodic effect on your inflamed bronchioles, which will relieve asthma symptoms. Moreover, it may even help to prevent or relieve asthma attacks. Bishop’s weed also treats bronchitis, whooping cough, cardiovascular disorders, and emphysema. The seeds of the herb are also used in asthma treatment. You mix 1 teaspoon of bishop’s weed seeds and 1 teaspoon of jaggery together. Then, take this mixture for twice daily. Or, you may also chew a few roasted bishop’s weed seeds along with water to relieve asthma symptoms. Another useful herb for asthma related to allergies is stinging nettle. This herb has natural anti-inflammatory and antihistamines properties that help to open up constricted nasal and bronchial passages to ease asthma symptoms. 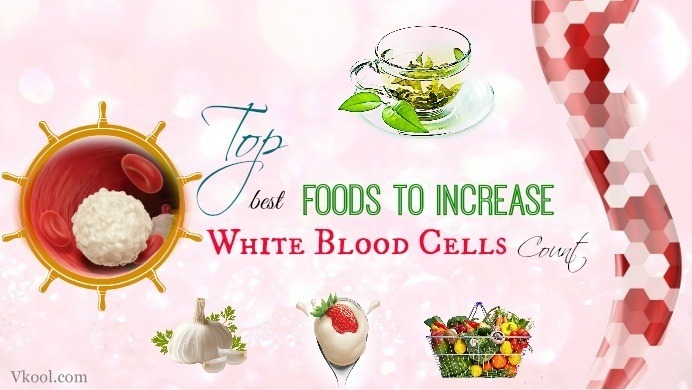 Plus, it is also rich in butyric acid that helps in maintaining a healthy immunity and metabolism. Add dried stinging nettle leaves or root (1 tablespoon) to 1 cup of boiling water. Then, cover this cup and steep it for 5 minutes. Now, strain it and add honey to it. Finally, stir them well and drink this tea. You may drink this herbal tea for a few times a day when having asthma. Or, you may also consult your doctor to take nettle supplements. Note: This herb cannot be suitable for young children and pregnant women. Try to determine your asthma triggers to avoid them. Avoid exposing to indoor and outdoor pollution, cigarette smoke, and other common allergens. Do not exercise in dry or cold air and have to always warm up yourself before exercising. Include some aerobic exercise, stretching or yoga, and resistance training in your daily routine. Maintain an optimal humidity level. If needed, you may use a dehumidifier. Cover your mouth and nose if you have to step out in the cold weather. Clean your home for once per week. Always use a mask when cleaning. Avoid processed foods, food additives, refined carbohydrates, artificial sweeteners, and fried foods. Eat foods rich in vitamin B12. Eat foods rich in antioxidants to decrease free radical activity that has a tendency to stimulate inflammation. Consult your doctor to take omega-3 supplements to help reduce inflammation. To know more information about health and natural treatments for skin or health problems, go to our main Health page. After reading the writing of top 10 best natural herbs for asthma treatment, if you find it necessary for you to share this list widely to other diabetes sufferers you know, feel free to do this! One more thing, if you have any question to ask or just give some personal opinions, do not hesitate to leave your comments and feedback here, then wait for my replication.